Vaillant asked Squidbone to create artist impressions for the new training centres in the Netherlands and visualise new consumer product concepts. 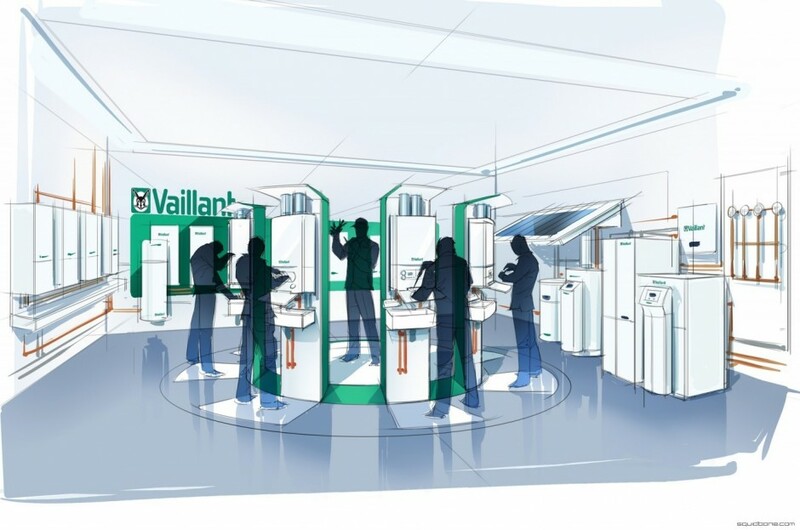 Europe’s leading heating technology manufacturer Vaillant offers comprehensive training courses for installers. Each Vaillant training centre has a lecture room equipped with up to the minute audio-visual and video technology. The practical demonstration rooms are fitted with working appliances, where equipment can be stripped down and examined in detail.